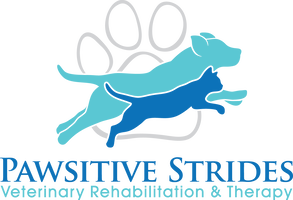 Meet the friendly staff at Pawsitive Strides Veterinary Rehabilitation & Therapy! Dr. Harder has been with Pawsitive Strides since November 2016. She is a 1978 graduate of Iowa State University. She practiced equine veterinary medicine for 38 years, selling her practice in 2016. Mary is a Registered Veterinary Technician, Certified Canine Rehabilitation Assistant, and a Certified Canine Massage Therapist. You'll find Mary mostly at Pawsitive Strides but she also fills in at Ingersoll Animal Hospital as needed. Becky is a Certified Canine Massage Therapist, Certified Veterinary Assistant, and a Medical Laser Technician. This dedicated, animal-loving lady keeps herself updated on the latest veterinary medicine advances, and she’s always ready to adapt to new technologies to better help her furry patients. Kacie has been with Ingersoll Animal Hospital since 2016 and has assisted at Pasitive Strides in multiple capacities since joining our team. Megan joined the Ingersoll Animal Hospital team as a Veterinary Assistant in 2017 and Pawsitive Strides as a Rehab Assistant after expressing her interest in the rehab field.